It's been a while, but I have a new character to share with the world! Meet Esperanza Sixtos, lovably eccentric scientist and inventor! She's trying to save the world from Walter Mastron, an evil industrialist who wants to be God--literally. 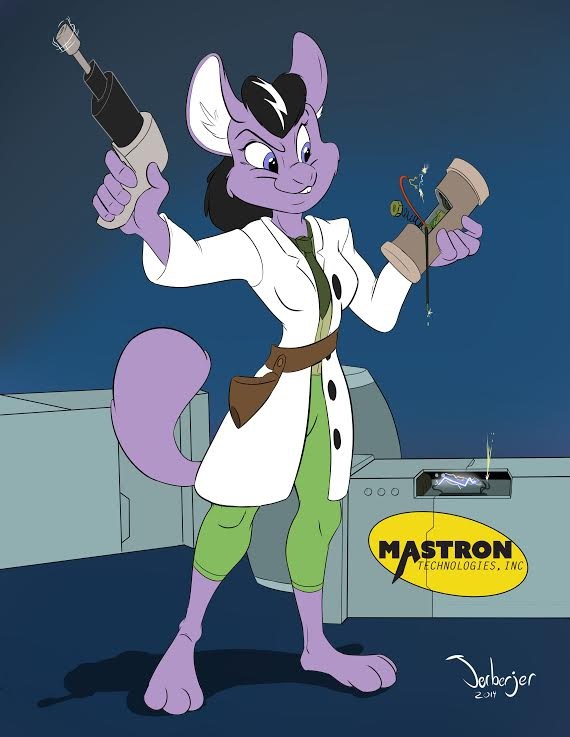 Personality-wise, this cheerful chinchilla is a cross between Gadget from Rescue Rangers and Adam Savage from Mythbusters. Esperanza was originally intended for a concept titled The Nobodies, but that's only the beginning of my plans for her; she's currently a major character in my current series, Crimestrikers. The artwork is commissioned from jerberjer, who did an absolutely wonderful job. He's also the one who came up with the pose, the impact wrench and the background, so he deserves credit for a lot more besides just drawing the pic.